In the world of skin care, you won’t find a more luxurious ingredient than hemp seed oil. In addition to its high rate of absorbency, it also possesses the ability to soothe and heal dry skin and burns, making it the perfect find for parched, dry skin. Find soothing topicals near you. Check dispensaries close by. 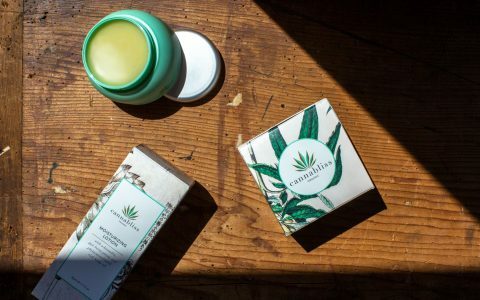 Cannabis skin care products that incorporate isolates of CBD and THC can help soothe, rejuvenate, and regulate the skin’s condition. Though our skin contains endocannabinoid system receptors, it’s important to note that topically applied cannabis products do not get absorbed into the bloodstream, so you won’t feel any psychoactive effects. 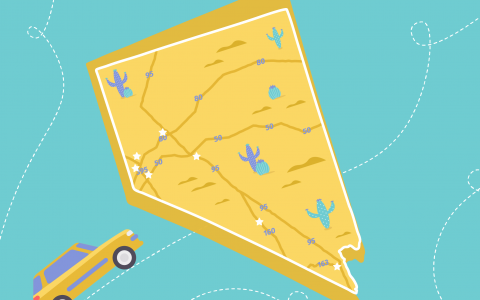 While in the Mojave Desert, dehydrated skin needs all the help it can get. Here are a few cannabis skin care products to keep your skin soft and smooth in Nevada’s scorching heat. The first step to protecting your skin in Las Vegas should be to shield it from the intense desert sun. 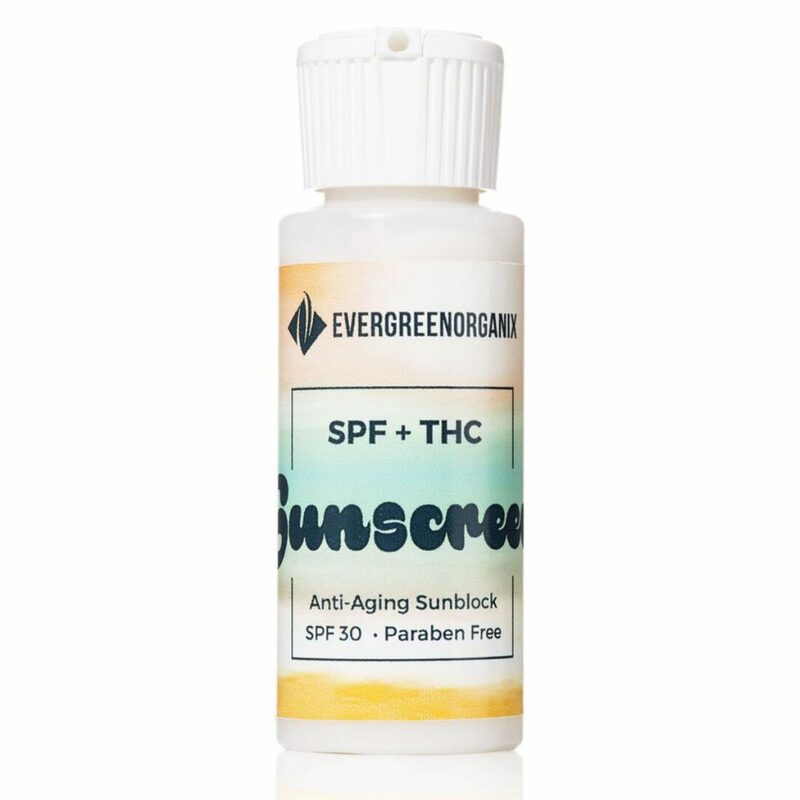 Whether you’re melanin challenged like me, or blessed with beautiful pigment, Cannabis Sunscreen from Evergreen Organix will protect your dermis with ingredients that absorb harmful UV rays while improving its condition with antioxidants such as THC, aloe and tea leaf. This SPF + THC Sunscreen is free of parabens and houses 100mg of THC in a 2-ounce bottle. Unlike other sunscreens on the market, this product goes on light—you can apply layer after layer without tackiness or build-up. Note: There is a very slight odor of cannabis when it is first applied, but it dissipates quickly. Every time you step outside, the wind in Las Vegas is affectionately called a “blow dryer” by the locals. For good reason—it blasts out every trace of moisture in your lips. 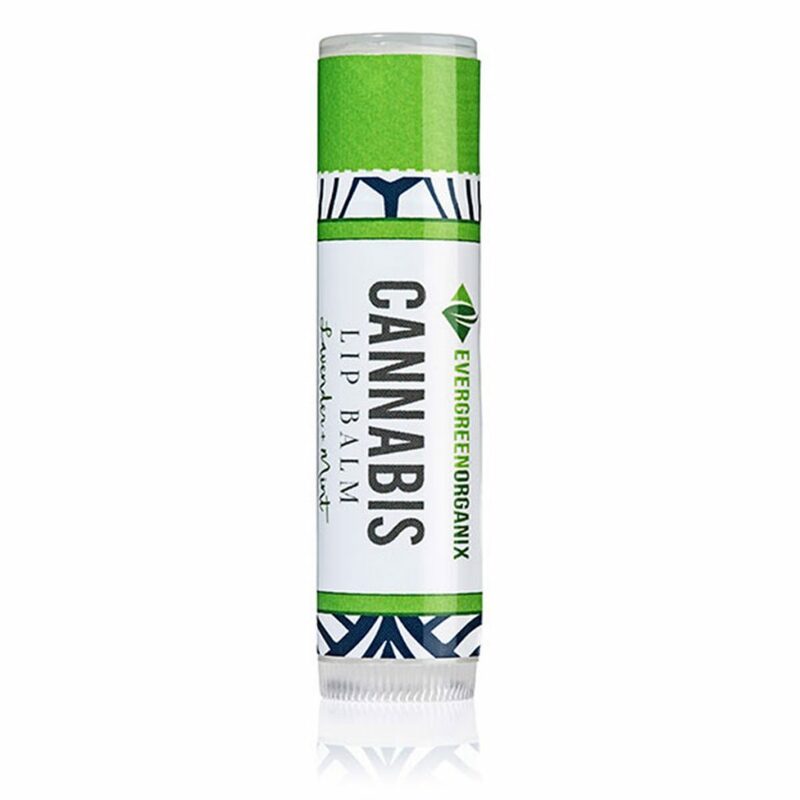 Fortunately, Evergreen Organix also makes Cannabis Lip Balm, which you can purchase at Med Men. One tube of lip balm contains natural lavender and mint while boasting 5mg of THC and 3mg of CBD. Bonus: I started applying this to my lips every night before bed, and I’ve noticed a huge improvement in of my lips. Eye serum is tired skin’s best friend. 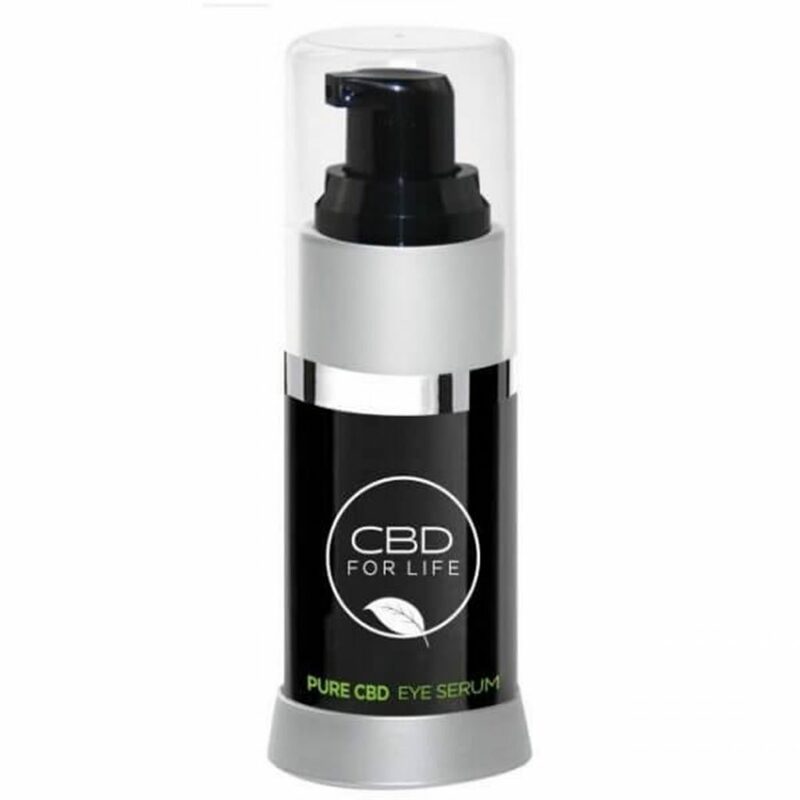 The Source carries the largest selection of cannabis skin care products, including CBD For Life. When CBD is the primary beauty ingredient, it’s myriad fatty acids may improve lipid production which is especially important around the eyes. I tried the eye serum, and wound up loving the light, moisturizing feel that plumps and brightens the look of my eyes. Men will appreciate that Las Vegas-based Hot Mess Kushmetics cares about their skin too. 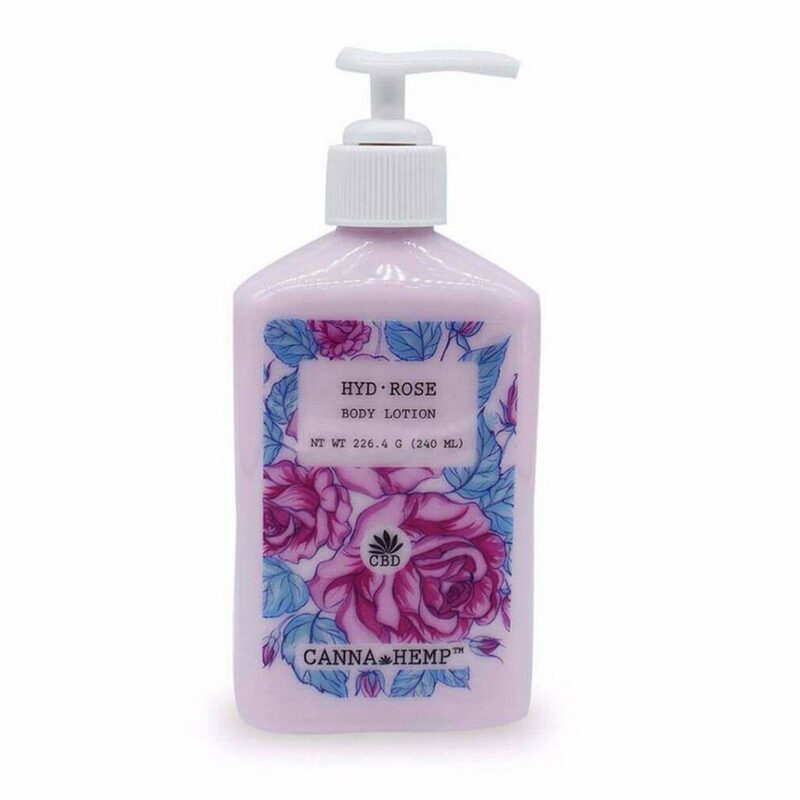 Their line of CBD Body Lotion has several cleverly-named scents such as Sativa Steve. Pineapple Express and Malibu Mary are other cannabis-tribute names that don’t actually smell like cannabis. Each bottle contains 150mg of CBD isolate and is available at The Source. 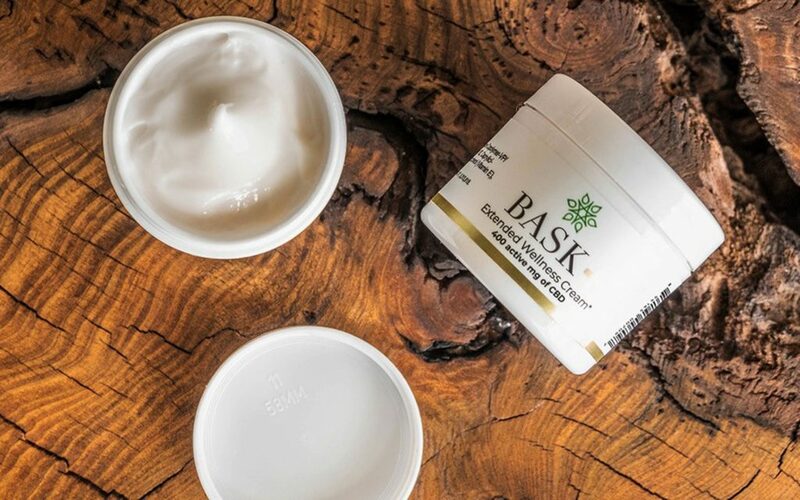 Moisture for your face can be found at Las Vegas Releaf with Bask Essentials Extended Wellness Cream. 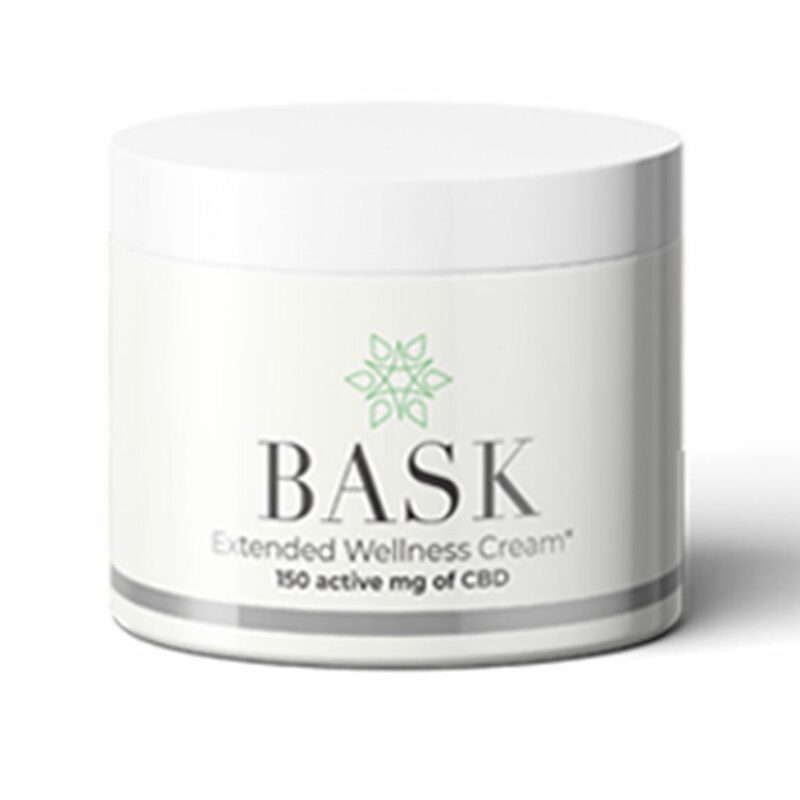 This clinical-grade product contains 150mg of CBD, and is made with allantoin, an ingredient used to increase skin smoothness. The product that was recommended most consistently by patient advisors was Canna Hemp. 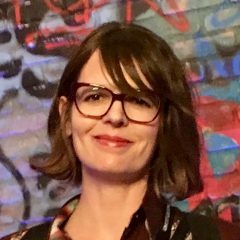 Budtender Jasmin at Jardin told me of a consultant who had gained relief from her psoriasis using the silky textured and soothing Hemp Cream. 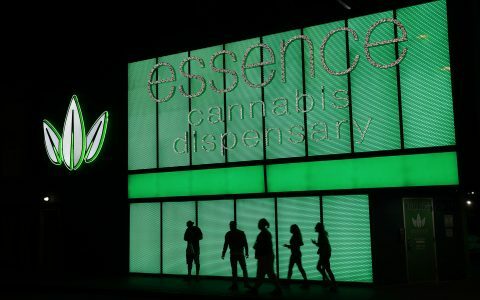 Elaine imparted that Canna Hemp’s Free and Cleared Body Lotion—ingredients include cannabidiol, hemp seed oil, and coconut oil—had allegedly tamed a fellow coworker’s eczema.